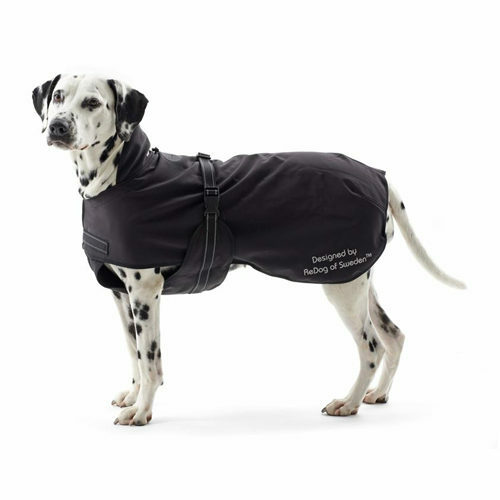 The Rehab Dog Blanket is a water-resistant, breathing coat that covers most of the legs, back, hips and shoulders. A warm and dry body is good for muscle and joint function. The Rehab dog blanket is ideal for muscle and joint support as the blanket covers most of the legs, back, hips and shoulders. The material maintains body heat and supports blood circulation. A warm and dry body is good for the functioning of the muscles and joints. The blanket keeps the body at a constant temperature and is pleasant for the skin and coat. Your dog can keep moving easily because of the light material. This makes this blanket also suitable for working dogs. In order to make sure that you are ordering the right size for your pet, it is important that you measure your pet properly. In the article How do I know what size my pet needs?, we give you tips on how to measure your pet. Which Rehab Dog Blanket Coat fits my dog? What if the Rehab Dog Blanket does not fit? To check whether the Dog Blanket Coat fits, it may be removed from the packaging and held up next to your pet. This way you can check whether it fits. For hygiene reasons, the blanket cannot be returned if it has come into contact with your pet. If we find that the blanket is stained, worn, contains animal hair, smells or has been washed after use, we cannot return the product to you. In this event, it will be donated to a charity (local shelter). As we are often confronted with products that are returned in a less than new condition, we have to apply these rules for fitting and/or returning wearable products. Have you used Kruuse Rehab Dog Blanket before? Let us know what you think about this product.